There’s nothing more exciting than a blank canvas. We can’t wait to sit down with you, get to know you and what makes your heart skip a beat. We like to start our design process with an in person meeting and a conversation: What’s your aesthetic? What are you drawn to? What is your Wedding going to be like? Let us truly capture your personality and interpret your big ideas into a design that is as original as you are and then bring it through to all the key elements of your event. BESPOKE. We create unique pieces for you to share with your guests. Each Invitation, menu card, ceremony program, etc. is designed and created especially for you. Our letterpress machine is run by our own hands giving us complete control over the final product. 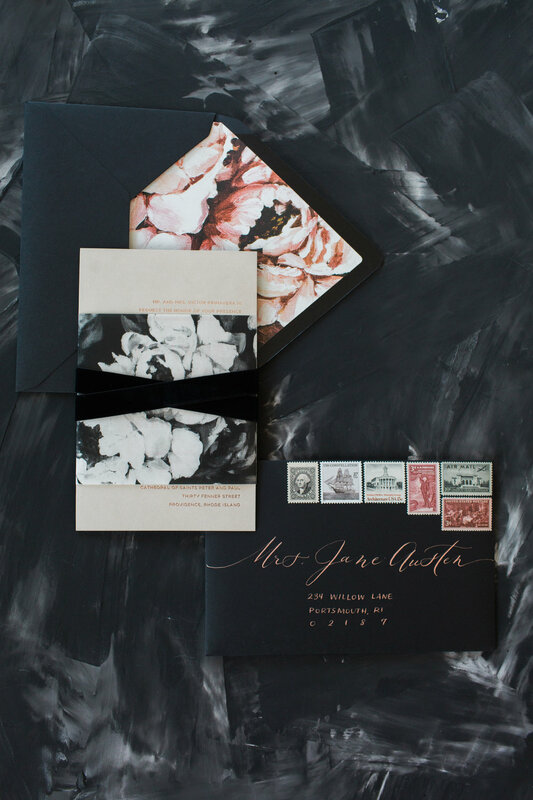 And every invitation suite that leaves our office is assembled by hand, so you do not have to worry about tying ribbons or sealing envelopes. 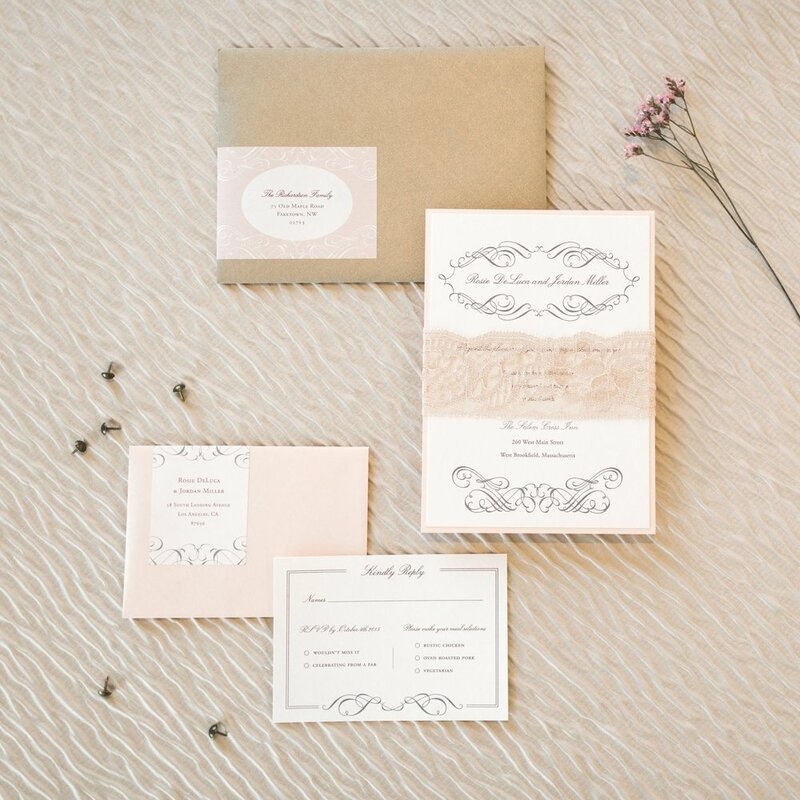 Base Invitation suites include: Invitation Card and envelope with liner, Reception Card, Response Card and envelope, Belly Band, Guest Addressing and White Glove assembly service.